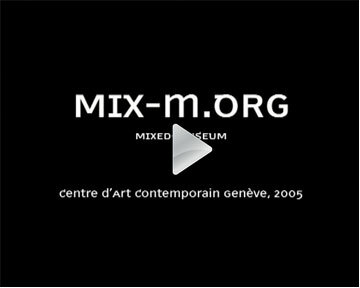 MIX-m stands for MIXed-museum. 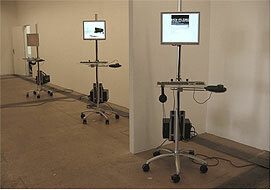 It is a contemporary art museum that exists both in physical and digital spaces, in localized and networked environments. 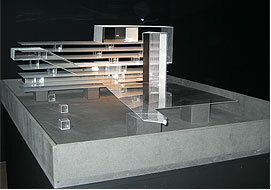 MIX-m plays with the dimensions of its architecture: a mix between a real museum space (here, the Bâtiment d'Art Contemporain in Geneva) (1:1), a digital space based on the dimensions of its host (1:x) and a model of this game-like environment (1:50). MIX-m has the ability to re-locate itself into this existing exhibition environment, transforming, mixing and extending it into new territories. It offers therefore a variable environment to create art installations. 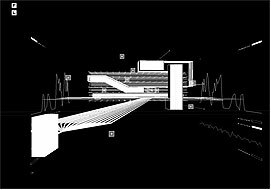 These works, commissioned by MIX-m, can now define and modulate their presence inside an extended space spectrum: physical-digital, real-simulated, localized-networked, white(cube)-black(box). MIX-m is a project by fabric | ch (architecture) and Simon Lamunière (curator).